MakeMKV is a free DVD and Blu-ray converter that could simply convert DVD or Blu-ray videos to MKV files. Then you could play MKV videos everywhere. 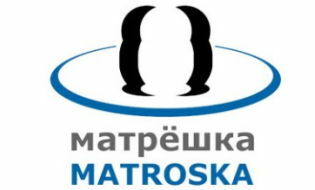 MakeMKV could open and convert ISO files (*.iso), DVD-Videos files (VIDEO_TS.IFO), Blu-ray files (index.bdmv, INDEX.BDM, MovieObject.bdmv, MOVIEOBJ.BDM, MKB_RO.inf, discatt.dat), HD-DVD files (DISCID.DATA, HVA00001.VTI, MKBROM.AACS, discatt.dat) and also MKV files (*.mkv) to MKV. Note: Run MakeMKVPortable.exe to launch MakeMKV Portable. This entry was posted in Audio & Video, DVD & Blu-ray and tagged bdmv to mkv, Blu-ray Backup, Blu-ray Copy, blu-ray to mkv, DVD Backup, dvd converter, dvd ripper, dvd to mkv, ifo to mkv, iso to mkv, makemkv, MKV, MKV Converter, vob to mkv. Bookmark the permalink.